Spruce bark beetles killed broad swaths of forests on the Kenai Peninsula 20 years ago. Now the voracious little bugs are back — and this time they're decimating trees in Anchorage and the Valley. 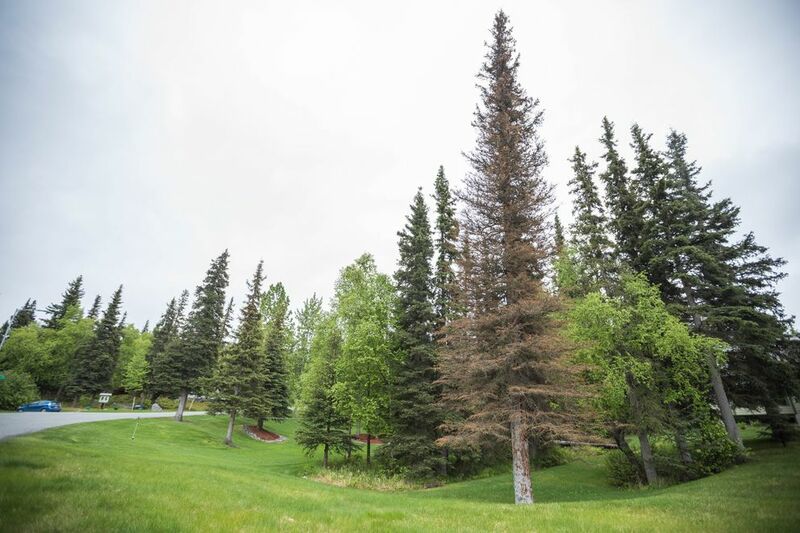 The Mat-Su is the epicenter of a potentially historic new spruce bark beetle outbreak, forest scientists say. They measured more than 400,000 acres of dead spruce last year, twice the amount surveyed in 2016 when the outbreak began. There's no way to halt the infestation, state and federal officials say, though there are steps landowners can take to help some trees survive. The outbreak is expected to spread this year, starting now, as warm weather spurs the beetles to leave infested spruce and move on to new host trees. "In the 1990s outbreak, we lost four million acres in total over about a decade," said Stephen Burr with the U.S. Forest Service Forest Health Protection office in Fairbanks. "It's possible that could happen now." 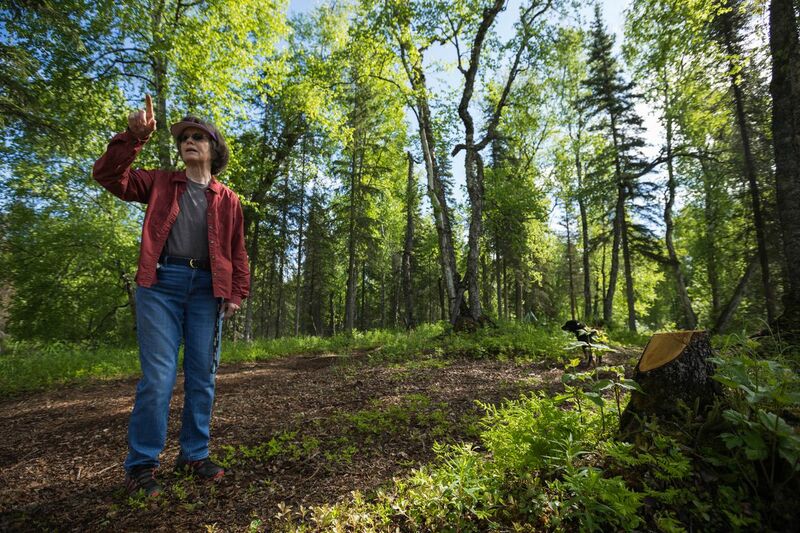 Donna Massay watched spruce in Trapper Creek succumb to the beetles as she snowmachined miles of trails last winter — carrying a chain saw to clear downed logs. "The trees were literally dying in front of our eyes from day to day," Massay said. "One day they'd be green, the next day they'd be brown and needles falling." The scenery from her home on a small lake off Oilwell Road has changed too as dead trees get cut down in the "treasured viewshed" out the front window. The die-off was noticeable last summer, she said. "This year, it's just very significant." Michelle LaRose, riding Meadow Lakes roads on her Harley-Davidson Softail Standard motorcycle, watched as the forests along the Talkeetna Mountains turned from a green carpet to a crazy quilt of rust-colored dead spruce in less than five months. "The view is spectacular across Hatcher Pass, very natural, very scenic," LaRose said. "All of that is damaged now. All the trees are dead. It just broke my heart when I saw that." The beetle damage is worst in the central Susitna Valley as well as the northwest Kenai Peninsula, according to Jason Moen, forest health program manager with the Alaska Division of Forestry. But there are pockets scattered throughout Southcentral Alaska, including in Anchorage. Reports of beetle damage have come from the Hillside as well as the Rogers Park and Turnagain neighborhoods. Mike Post, owner of Anchorage company Tall Trees, was too busy one day last week to talk for long. Most of his beetle-related work in the city is cutting dead trees. 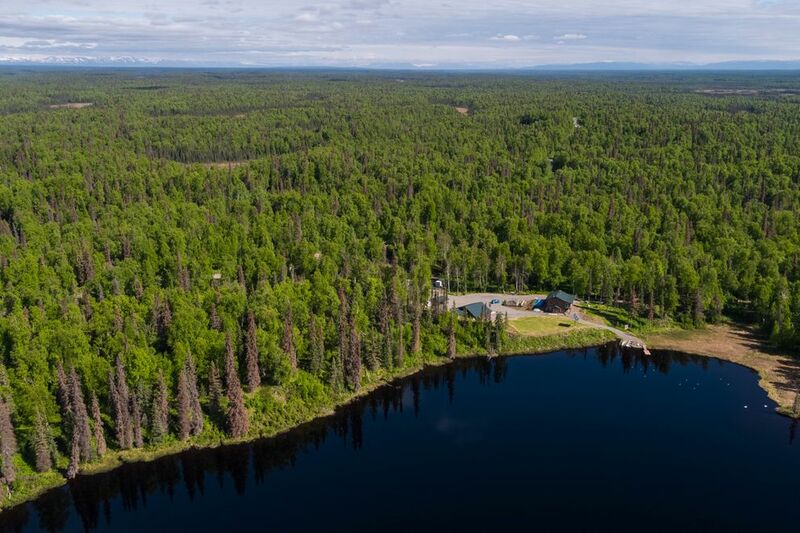 Post owns 68 acres near the Little Susitna River outside Wasilla. Every spruce bigger than 10 inches in diameter died last year. There really wasn't anything to do about it, Post said. "It's just forested land, it's not improved really besides some cabins and stuff," he said. "There's no way to cost-effectively spray all the trees on 68 acres." There are steps property owners can take to try to save healthy trees. But the time to act is now, as the beetles take a cue from warmer weather to hatch and fly, forest scientists say. A consortium of agencies put together a cooperative website to give property owners a one-stop source of information this season. Along with the Forest Service and Division of Forestry, the University of Alaska Fairbanks Cooperative Extension Service is involved. Beetles emerge from infested trees and fly to new host trees from mid-May until mid-July in temperatures above 60 degrees, according to a guide to their biology and behavior. They inhabit white, Lutz and Sitka spruce but only occasionally the black spruce. The beetles, just a quarter-inch long, can each lay up to 150 eggs in the phloem layer beneath a tree's bark on top of the wood. They can fly up to a third of a mile, Moen said, though it's possible wind can carry them farther. The beetles are native to Alaska and in low numbers prefer old, slow-growing or injured trees, he said. But once they get into this kind of outbreak mode, the beetles will infest trees as small as 6 inches in diameter. 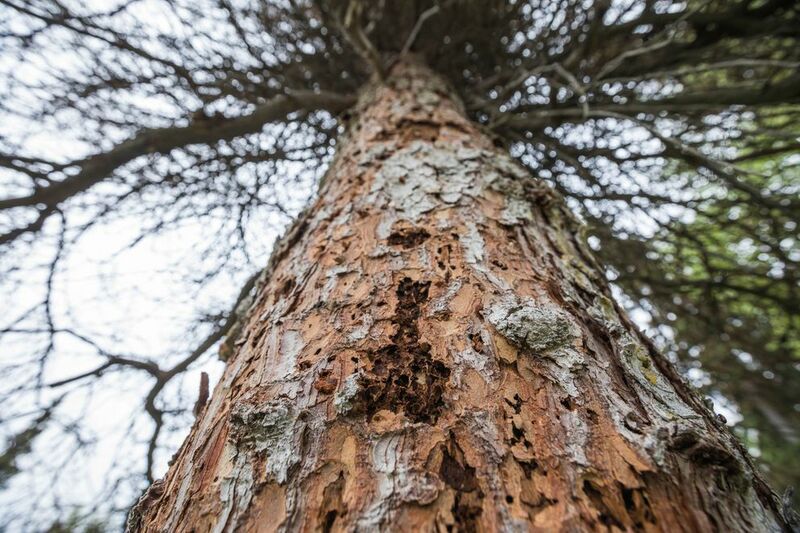 Landowners can help their trees be less susceptible to spruce beetles by keeping "high-value" trees healthy with regular watering and fertilizer treatment, officials say. Pesticides are available to protect trees from spruce beetle attack, but they don't work on trees that are already infested. Infested or dead trees are good for firewood, Moen said. But remove the bark that shelters beetles. The state urges people not to cut green spruce this time of year because the sap attracts the bugs. Windblown trees also draw beetles, so landowners should split or chip those trees to keep beetles out or stack them with lots of airflow to dry the wood, he said. Don't stack it next to live spruce. Along with the view, beetle kill can boost fire danger. A major new timber sale on Matanuska-Susitna Borough lands in Trapper Creek was pushed in part as a way to reduce future fire risk. Several big recent fires in Southcentral — Sockeye in Willow, Card Street on the Kenai, both in 2015 — were caused by people, not dead trees, officials say. But the changed forest that follows an infestation can have a major effect on how fire is fought. Beetle-killed trees aren't always fire hazards, Burr says. 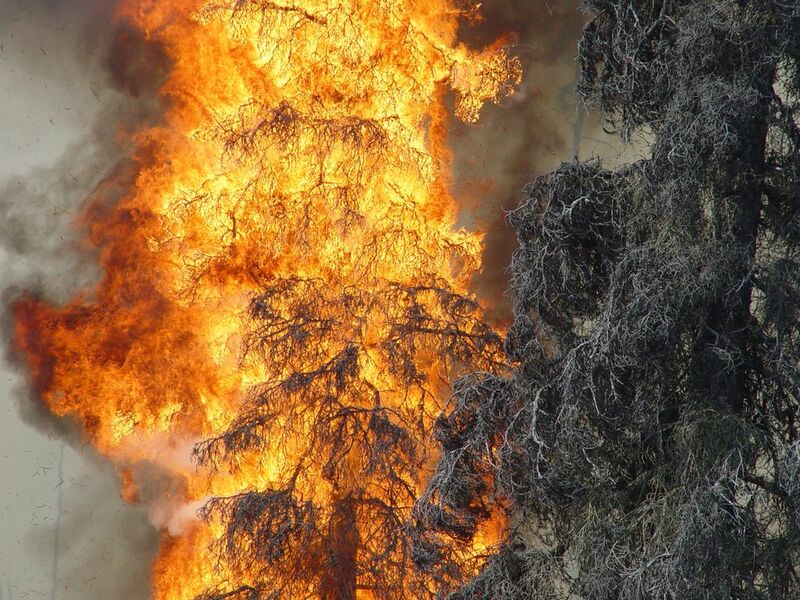 The dead spruce are more fire-prone when the needles are red and on the trees because they act like "fuel ladders" that flames travel. Once the needles drop off skeletal dead trees within a year or two, fire danger drops to normal levels, he said. There's a broader concern, though: Areas of dead spruce lead to a changed fire environment, according to Tom Kurth, the state's wildland fire program manager. Once dead, the trees allow grasses to spread below. And grass fires, burning through acres of dead spruce, are a "whole different fire," Kurth said. Instead of just the head of a fire running through trees, the whole perimeter may be aflame. "Now you've got dead trees going up and then 100 percent of the grass on fire," he said. "It's just a lot harder." Once the trees die, Kurth added, they present another hazard because the fallen trees get covered with grass, making for a sometimes impenetrable obstacle for ground crews trying to cut fire lines. The Latin name of the beetles translates to "tree destroyer." These bugs, like all insects, are the movers and shakers of the forest community. Only wildfires kill more spruce. They can also ruin the aesthetics of a yard, killing trees that won't grow back for decades. Researchers say there may be a climate change connection. 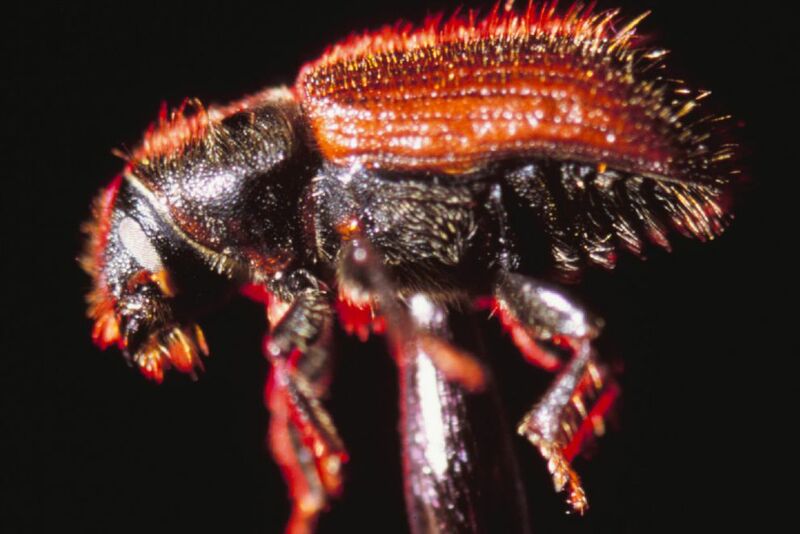 Bark beetles across the United States are exhibiting "bizarre" activity and entering new ranges, Burr said. In Alaska too: Typically, traps around Fairbanks catch about 150 spruce bark beetles a season. Last year, Burr said, he caught 1,500. The ongoing outbreak is probably linked to warmer temperatures, if past infestations are any indication, Moen said. Windstorm damage also encourages beetles. Once they spread like this, officials say, there's no cure. "It's just kind of grin and bear it," Burr said. "Once the beetle goes into outbreak, there's pretty much nothing we can do to knock that outbreak out. We're just going to have to let it run its course." As Massay watches the view change from her windows, she babies the spruce she has left with lots of water and fertilizer. "I'm trying to be as nice as I can to them, hoping they survive," she said.